AMES, Iowa – A new assistant professor in the Department of Agricultural Education and Studies at Iowa State University will help address the department’s growth in agricultural communications. 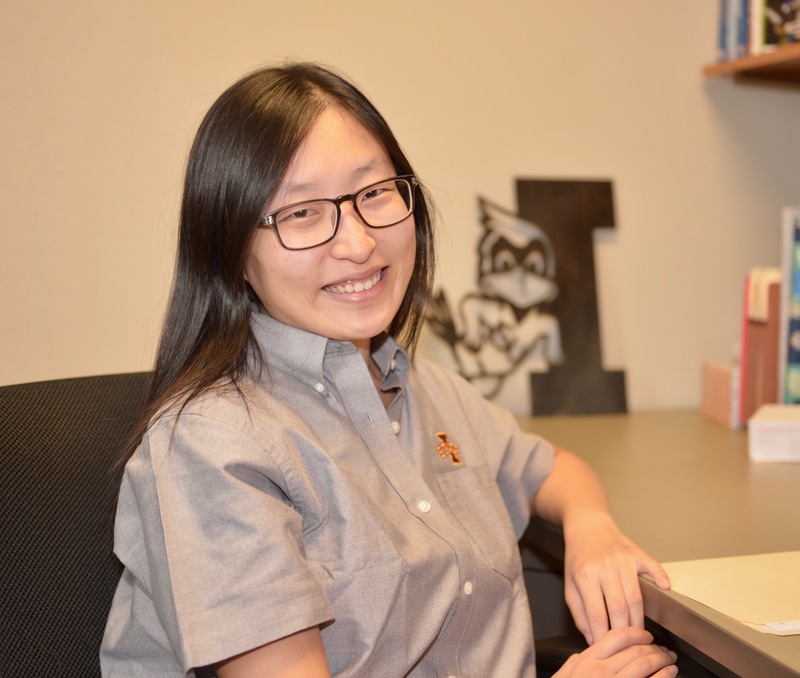 Shuyang Qu will teach agricultural communication courses and conduct research on media literacy and public opinions in agricultural communications. She received a bachelor’s degree in English and literature in 2009 from South-Central University for Nationalities in Wuhan, China, a master’s degree in mass communication in 2012 from the Greenlee School of Journalism and Communication at Iowa State, and a doctorate degree in agricultural communication in 2016 from the Department of Agricultural Education and Communication at the University of Florida. Mike Retallick, chair of the agricultural education and studies department, said the addition of Qu is part of a move to increase the commitment and expertise in the area of agricultural communication. The move addresses the growing number of students interested in agricultural communications and industry’s increased demand for agricultural communication graduates. “This position and Dr. Qu’s expertise is instrumental in our ability to prepare students who can help solve the complex and global issues facing society. In addition to scientific and technological advances, we must address the human dimension. Dr. Qu’s work as an educator and researcher will be vital in our department’s efforts,” Retallick said. Agricultural education had its origin in agriculture and is one of the oldest academic units in the College of Agriculture and Life Sciences. It became a department in 1911 and originally focused on preparing agriculture teachers for secondary schools. As the discipline evolved, the Department of Agricultural Education and the Department of Agricultural Studies merged in 1989 to form the Department of Agricultural Education and Studies. Today, the discipline of agricultural education encompasses teaching, learning and communication processes. The department conducts research and prepares students to use these skills in various settings including public schools, community colleges, universities, extension, governmental agencies, as well as business and industry. Faculty research in the department is conducted under the Iowa State University Agricultural and Home Economics Experiment Station and includes evaluation systems, instructional supervision, experiential learning, communication, leadership and curriculum development.